Showing appreciation for America's military personnel and their families. 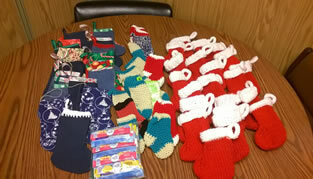 If you love to knit or crochet and would like to support our soldiers, this website is for you. Morale is critical for our soldiers. 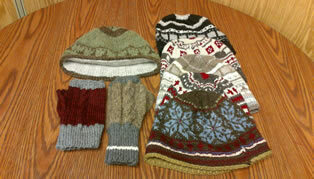 We hand knit and crochet warm, wool hats for our soldiers serving overseas and for soldiers and veterans here at home. Periodically, we will be focusing on special projects. Warmth for Warriors hats shipped overseas include a tag with a poem. Have your name added to a hat for our service men and women by making a minimum donation of five dollars ($5) to Warmth for Warriors. 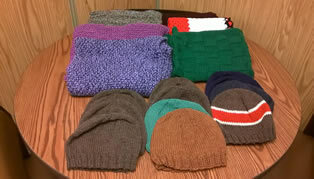 Send your donation to the address on the left indicating that you would like to sponsor a hat! UPDATE: We have sent since the inception 46,889 hats to the troops. 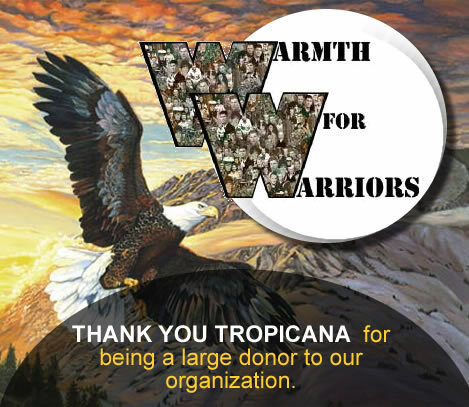 We also want to THANK Tropicana as a donor to our organization as they have given us a large donation in the past couple of years. ANY SOLDIER.COM Freedom isn't free. Just ask any soldier.